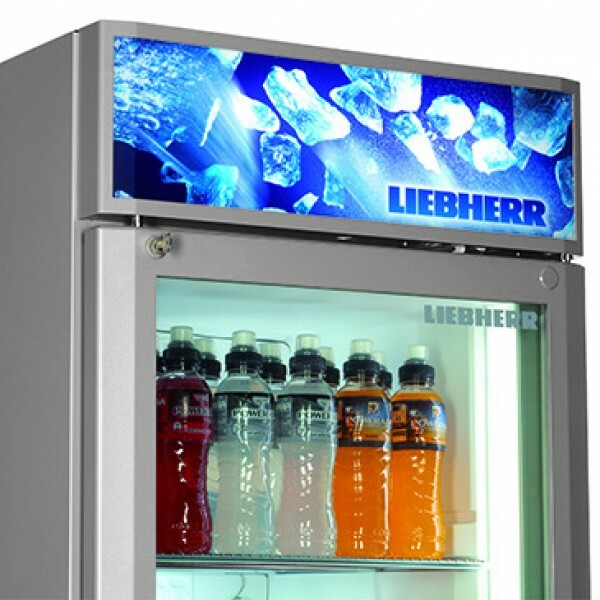 Liebherr glass door freezers with high-quality, vertical LED lighting on both sides of the interior. 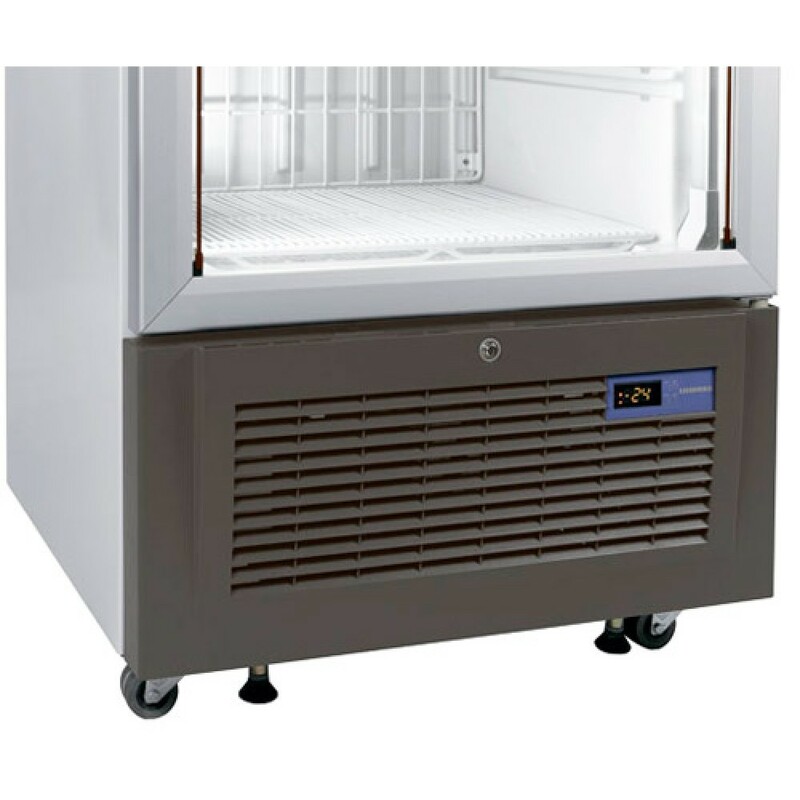 A dynamic cooling system with high performance fin evaporator and hot-gas defrost guarantees maximum performance and maximum energy-efficiency; perfect for professional use in the commercial sector. Exceptional presentation is particularly important for attracting customers' attention. The Liebherr glass door freezers are fitted with vertical LED lighting on both sides of the interior. The high-quality LED lighting and the attractive anthracite/aluminium design enhances product presentation. A dynamic cooling system with high performance fin evaporator and hot-gas defrost guarantees maximum performance and maximum energy-efficiency; perfect for professional use in the commercial sector. The energy-efficient hot-gas defrost system significantly shortens the defrost cycles, with only minimal interior temperature fluctuation thus maintaining the quality of the stored products for longer. 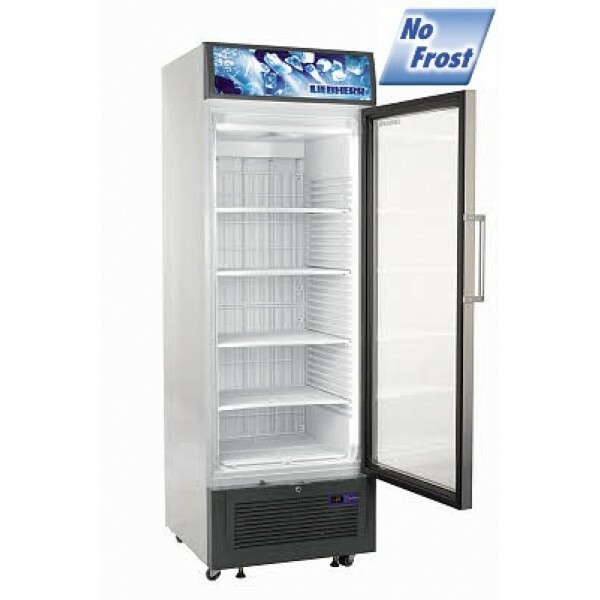 The electronic control system, featuring a digital display, allows you to set the temperature precisely and automatically initiates the hot-gas defrostcycles. LED illumination of the display (FDv 4613) and interior provides impressive presentation of the brand and the products stored. The lighting concept features two vertical LED modules, on either side of the inner liner, which provide uniform and intense illumination of the interior. The electrically heated, triple-pane glass door prevents any unsightly condensation so that a clear view of the goods is maintained at all times. Both the bottom unit cover and the display (FDv 4613) are finished in anthracite. The glass door frame is in high-quality aluminium, both good-looking and tough. The simple yet elegant design will easily combine with different brandings.